Chutney pudi/powder is one of the most popular South Indian recipe which is a great replacement with the regular chutneys. Pudi in Kannada is called Powder. Its served in almost all South Indian Restaurants. But it surely can't beat the ones prepared at home- Home fresh. All the dry spices are fried and stored in an air tight container and used later for the South Indian Breakfast dishes like Idli's and Dosa's. This comes to my rescue when the lazy bug bites me early morning. 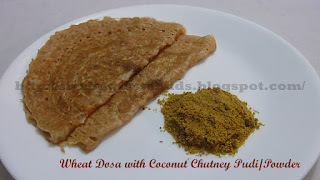 Just prepare dosa's and serve it with this chutney powder and you are done with the breakfast. Just altered a bit from what my mother-in-law prepares. Increased curry leaves quantity because of it medicinal values. 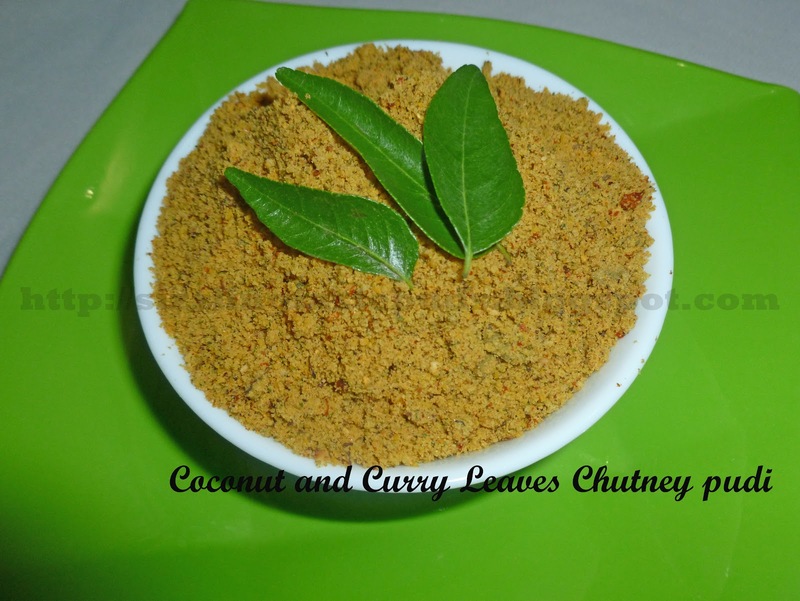 Here's the recipe of Dry Coconut(Cobri) and Curry leaves Chutney Powder/pudi. 1. Dry Roast all the ingredients separately except Salt, Jaggery, Tamarind and Hing. 2. Put it in the blender one by one and make a fine powder. DON'T ADD WATER. 3. Add jaggery and Tamarind. Again blend it along with the above powder. 4. Now mix Hing and Salt to taste and allow it to cool down. Store it in an air tight container and preserve it the same way as you preserve other spice powders like sambar powder, rasam powder etc. 5. Serve it with hot Dosa's or Idli's . 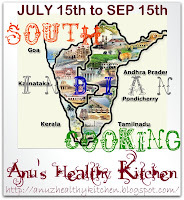 This chutney powder looks so tasty..Love south Indian style masala powders..Thank you for linking this to my event. Happy to follow you ! !